It is no secret that all legal transactions come with a trail of documents. Even in the modern digital age the importance of documents in business, government and private dealings cannot be overemphasized. When dealing in such transactions the services of a public notary come in handy. This is an officer who attests any documents to ensure they are authentic, takes depositions and affidavits and ensures the process is recognized under the law. There are various situations where you will need the services of these professionals. In all these situations there is need to certify that the person involved in the transaction have been identified by the notary. Once the signature and stamp are on the paper this document has been certified as the truth. In the modern society where cases of fraud are at an all time high a notary can save you a lot of money and misery by authenticating the process. There are over 4.5 million state-appointed notaries in the U.S and you can find it overwhelming when making a choice. Go online: Start your search by visiting a notary comparison platform. Such a website will give you a list of all notaries in your city. These notary directories make work easier for you because you can find a notary near you with just a few clicks. What’s more there are reviews and important resources on the services provided by a notary to help you make the right choice. Availability: The need for a notary can occur any time especially now that most businesses are running 24/7. As such search for a notary who is near your location. This saves you time and money and the process will be complete in no time. Qualification and specialization: You have to consider the purpose for which you need a notary in your city. 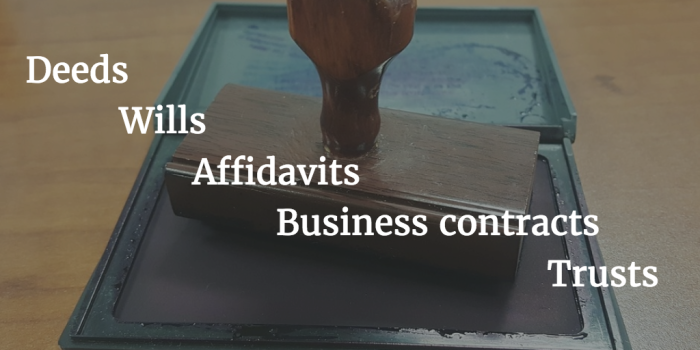 If you have a legal document that requires a notary, look for someone with some legal background. For business documents go for a specialist in the industry. Association membership: A credible notary should belong to main professional associations including National Notary Association (NNA), American Association of Notaries (AAN) and American Society of Notaries (ASN) among others. Still searching for a notary near me? These tips will help you find the best professional in your neighborhood.